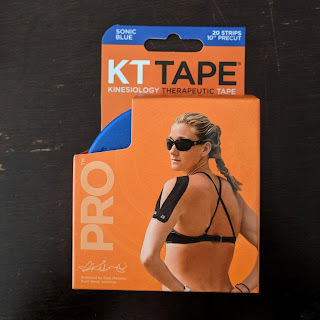 Disclaimer: I received a KT Tape to review as part of being a BibRave Pro. Learn more about becoming a BibRave Pro, and check out BibRave.com to review find and write race reviews! We all get bumped up over time. Some of use even get busted up. When those times happen, you just need a little extra support and a little relief. 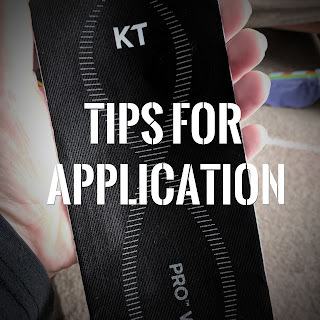 One strong option to give a try is KT Tape. Read on for more plus a great discount. 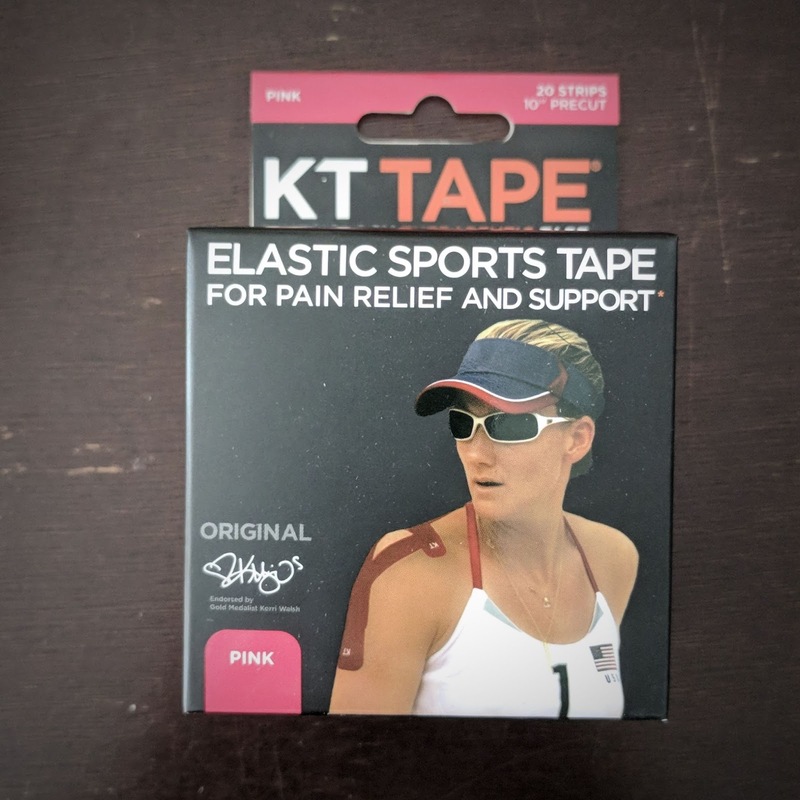 KT Tape is made to reduce pressure to the tissue and may reduce discomfort or pain. When applied correctly, the taping also provides support to muscles improving their ability to contract and helps the muscle to not over-extend or over-contract. 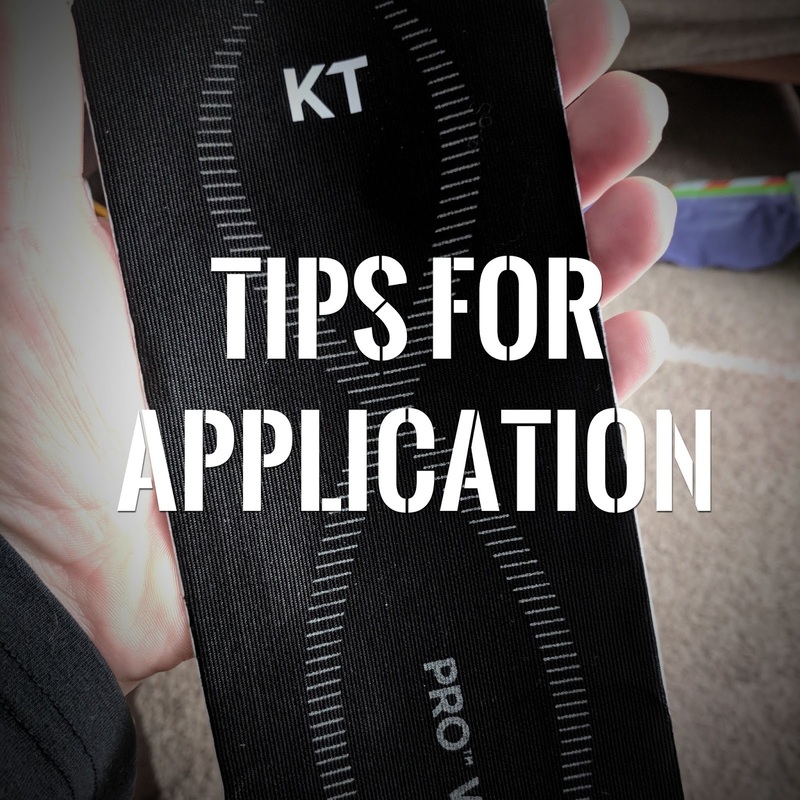 There are so many types of KT Tape to fit your personal needs. I was lucky enough to get to test several of the varieties for you. I want to give you the basics about some of your options, to help you find what may work best for you. All of the tapes are available in precut strips with rounded corners, to make application easy. This is the original KT Tape. This cotton based tape is designed to last for 1 - 3 days through multiple workouts. It is also designed to stay on in water. I prefer some of the stronger varieties, but there's nothing wrong with a classic. 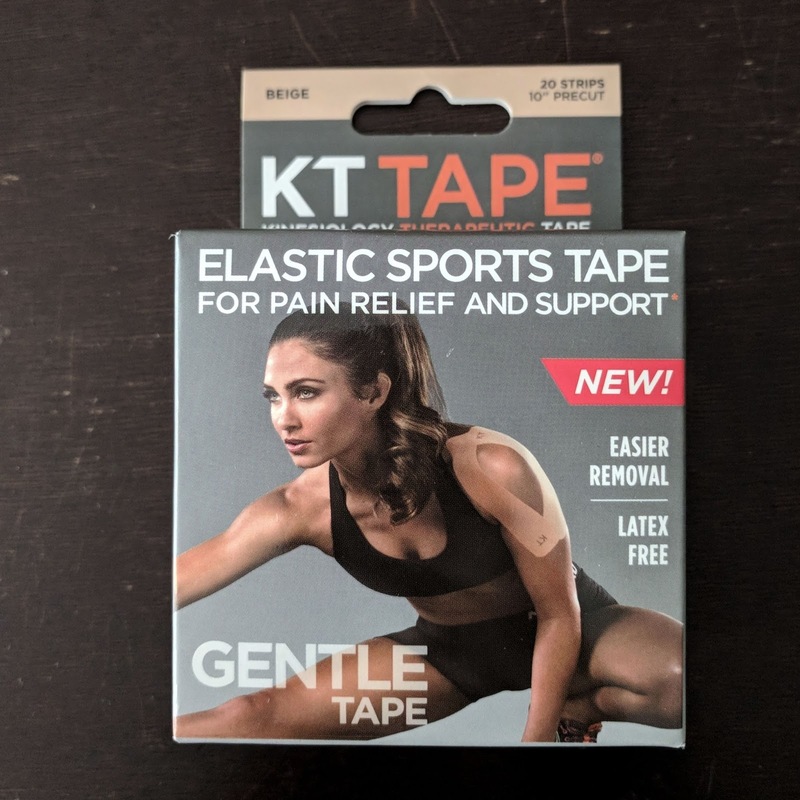 It's great when you need that extra support that you'll get with KT Tape, but don't require or want as long of an adhesive time or strength. This tape is one I know well and have used periodically over the past several years. This is the tape you want for more support and to put up with your tougher workouts. It is the world's only 100% synthetic kinesiology tape. It's designed to last up to 7 days when applied correctly and will stand up to several tough workouts, showers, humidity, and even the pool. This tape I can say I've thoroughly tested on my wife and myself on feet, knees, backs and more, all to great success. The wide tape is the same synthetic Pro tape we've just talked about, but with twice the width. This is designed on purpose for targeting the lower back, shoulders and other large muscle groups like your quads. It measures 4" wide by 10" long in pre-cut strips. Even with it's wide with, it's designed to last for 4 - 7 days of wear. I tested this on my wife's lower back. It worked well, but applying it is a little tricky. I'm used to applying the normal width tape and with some practice I'm sure this will get easier. I think this would be fantastic the next time I need it for shoulder muscle pain. This is the suped up version of the Pro tape. It's made with an extra strong adhesive to take the roughest and toughest workouts and the most extreme conditions. It's water resistant and make for 4 - 7 days of wear. 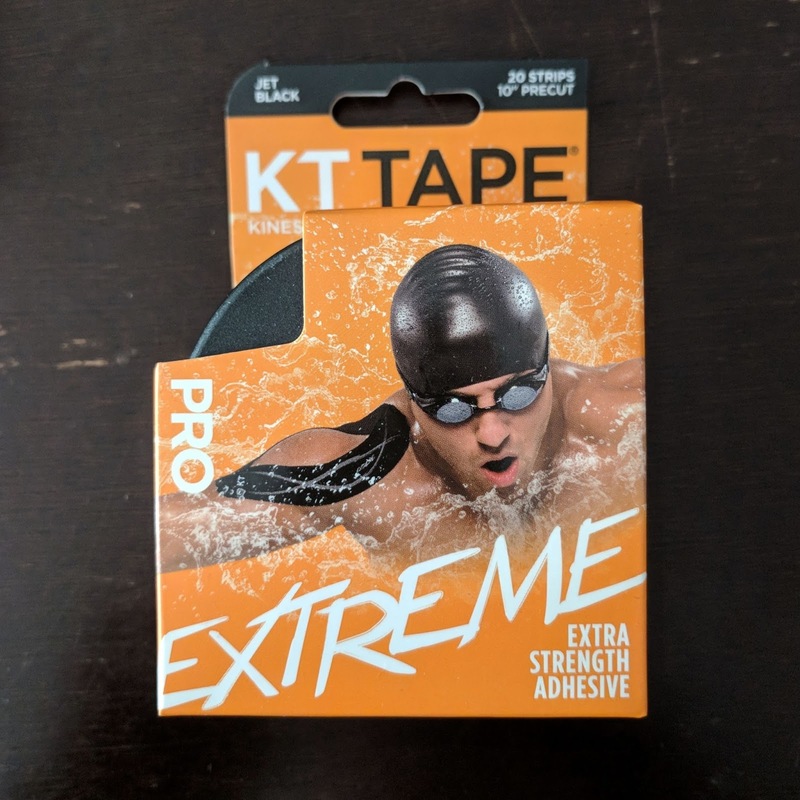 The adhesive is designed "to help with adhesion during strenuous activity through extreme conditions including wet conditions, high heat, high humidity or oily skin." I've tested this tape and love it as well. Sometimes you may be applying tape to get through a workout or a weekend, but sometimes you really want it to last. This is the tape for you. We've taped my wife's knee with this tape and it lasted a full week of activity, showers, and kids successfully with no issues. The last tape I tested was their Gentle Tape. This special tape is 100% latex free and designed with gentler adhesive for easier removal. It's ideal for those with sensitive skin. It's still designed for 1 - 3 days of wear and stand up to lighter workouts, providing the same support and elasticity to your muscle. It's important to know that proper application can make all the difference, so it may take some practice. While it may take several tries before you fully get the hang of it, there are some steps you can take to improve your application. 1. Clean the area for application. 1.b. If it's extra hairy, consider shaving the area. 2. Follow the directs from beginning to end before starting to apply, so you're prepared. 3. Rub the tape afterwards. The friction helps the adhesive set. 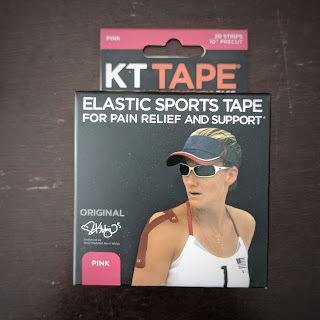 Want some KT Tape for yourself? Save with promo code BIBRAVE30 and get 30% off your order! 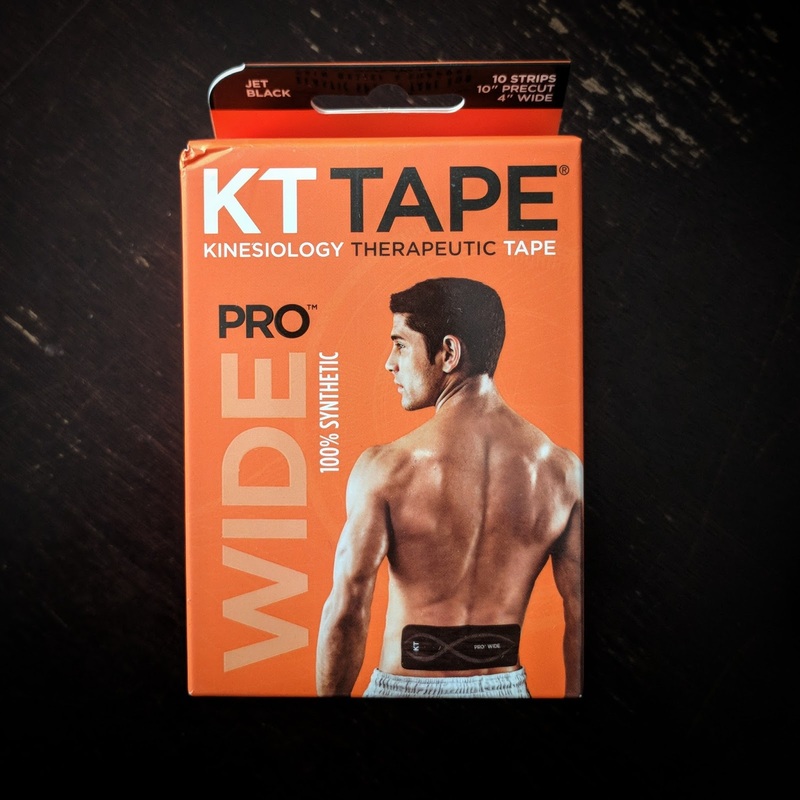 This offer is amazing and one of the best discounts I've seen on KT Tape.